The improvement of energy efficiency in electronics and computing systems is currently central to information and communication technology design; low-cost cooling, autonomous portable systems and functioning on recovered energy all need to be continuously improved to allow modern technology to compute more while consuming less. 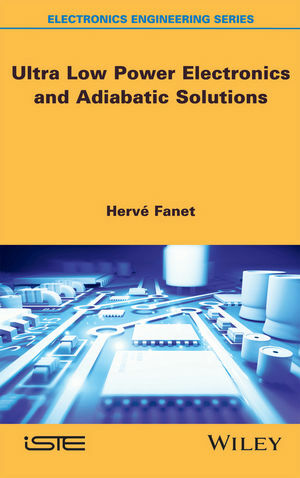 This book presents the basic principles of the origins and limits of heat dissipation in electronic systems. Mechanisms of energy dissipation, the physical foundations for understanding CMOS components and sophisticated optimization techniques are explored in the first half of the book, before an introduction to reversible and quantum computing. Adiabatic computing and nano-relay technology are then explored as new solutions to achieving improvements in heat creation and energy consumption, particularly in renewed consideration of circuit architecture and component technology. Concepts inspired by recent research into energy efficiency are brought together in this book, providing an introduction to new approaches and technologies which are required to keep pace with the rapid evolution of electronics. Hervé Fanet is a Senior Scientist at CEA-LETI in France.